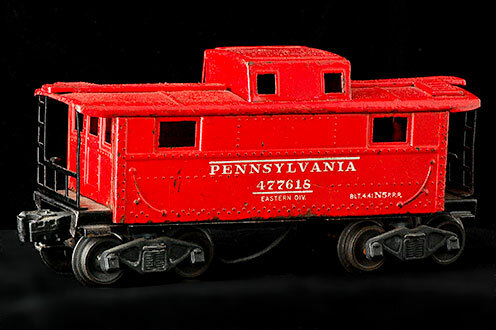 Are all old Lionel toy trains collectible and valuable? As with my cap gun and yo-yo collections, I have no interest in collecting unused, mint condition "collectables". Old toys that show use have character and provenance that reflect the love they received. Many of my memories of the early 50's are of my brother struggling to get his Lionel 'O' gage train set to work. He had the introductory "Scout" set that was most likely built around 1950. The 1110 steam locomotive is frequently referred to as a Scout locomotive. Lionel used the word Scout to denote its entry-level 027 steam locomotives. Generally speaking, Scout engines had a 2-4-2 wheel arrangement and were reserved for beginner or starter sets. These locomotives had few features and could rarely pull more than a three or four car freight train. The 1110 ran for four years and has several variations, some of which are hard to find. 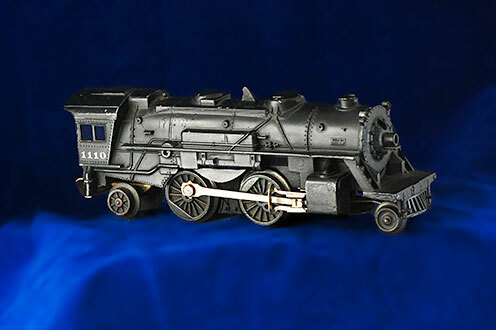 Although some variations are harder to locate, prices tend to be reasonable when found as collector and operator interest remains minimal in Lionel's Scout locomotives. This model has an air hole in the front of the boiler above the headlight. For the early part of 1951, a small air hole (approximately 1/4" round) exists in the boiler front above the headlight. These shells are actually leftover 6110 steamer shells renumbered 1110. This is a hard to find variation. This version of this gondola was available from 1957 - 1958 and is 8" long x 2" wide x 2" high. It has a black plastic gondola, and AAR-type trucks with operating couplers. White heat-stamped lettering includes "LIONEL - 6112".